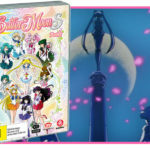 Sailor Moon R: The Movie was a pivotal moment of discovery as a Sailor Moon fanboy in the 90s. After smashing through the DiC localisation on repeat for so long, the arrival of the internet and a rather spectacular ultimate guide for the series in the April 1997 issue of Animerica (which also featured coming-soon cuts for Princess Mononoke, Cowboy Bebop and little thing called Pocket Monsters) was a cause for excitement. 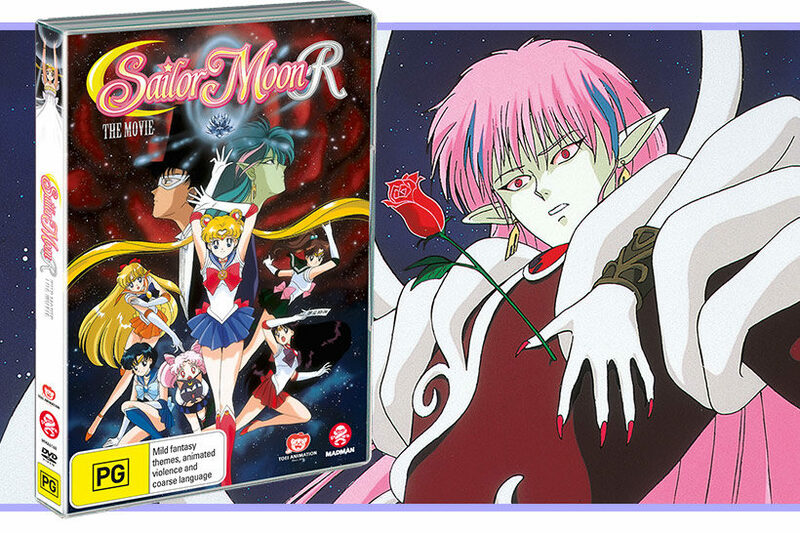 I remember poring over the images, the synopses, the sheer majesty that was Sailor Moon in a theatrical format. Fast forward a few years and I finally managed to source the VKLL version, subsequently upgraded to Pioneer’s R1 DVD release in the early 2000s and now we have it as an official region 4 DVD release that features the renowned Japanese R2 restoration. So we’ve made the journey – the question is has it been worth the wait? 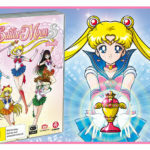 Sailor Moon R: The Movie is very much in line with Toei’s approach to bringing in a theatrical release based off a popular TV series, and being the first of eventually three films released as part of the 1990s adaptation of Naoko Takeuchi’s powerhouse manga of the same name, it features a degree of ambition amongst its reasonably conservative story. Slice of life dominates the opening of the film with Usagi and co heading over to some botanical gardens of some sort somewhere on the outskirts of Tokyo. 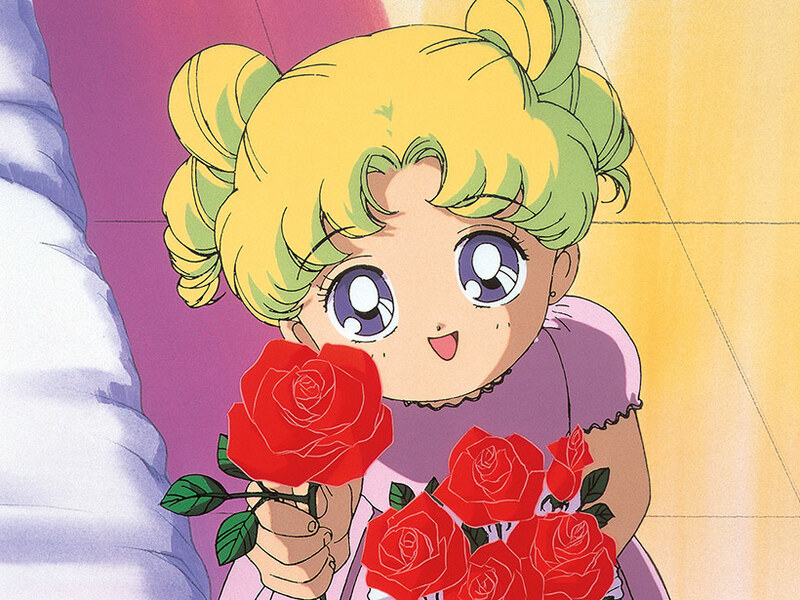 Her romantic lovey-dovey intentions with Mamoru are dashed when he chickens out of a pash with his girlfriend before being confronted in the gardens themselves by a bishi-bishi boy named Fiore who comes bearing flowers for him before striking Usagi aside and promising more flowers for the rose-loving uni student. Things take a turn for the worse the next day as we trade in the slice of life stuff for more energy-sapping supernatural forces, some biffo, then bishi Fiore steals Mamoru after accidentally stabbing him because he’s jealous of Usagi. This necessitates a trip to an asteroid/giant seed that is headed towards the earth which will threaten to populate the world with evil flowers and everyone uses friendship to fight Fiore who is of course unable to compete against the proverbial power of passion. 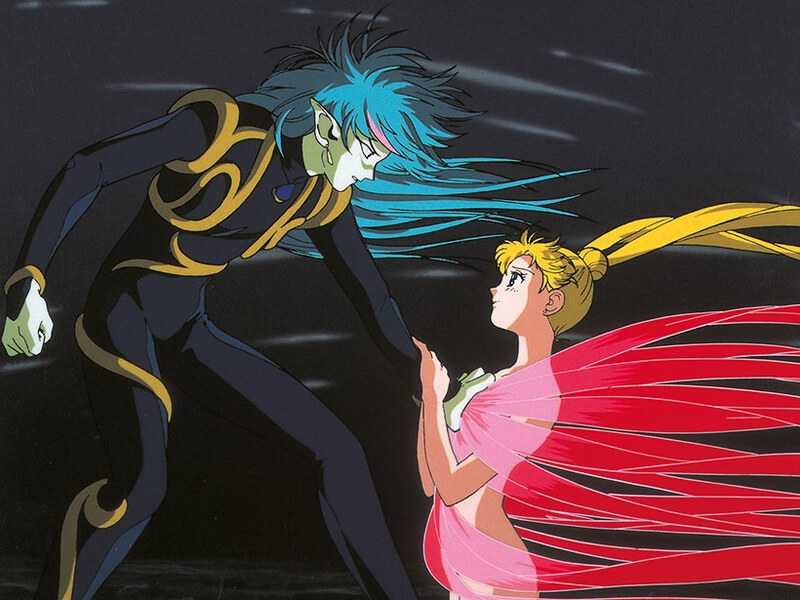 The film finished off on a spectacular note as we hear the superb original vocal track for the film, Moon Revenge, while blissfully ignoring the gaping plothole that allows the Sailor Senshi to drift in outer space without oxygen or a practical form of transportation to get back home again. At 60 minutes the story of Sailor Moon R; The Movie feels more like a double-episode than a production where the staff were able to stretch their legs, but that doesn’t mean they don’t get an opportunity to have fun. The production values are actually quite polished, but in a subtle way that wasn’t really obvious in my previous experiences with the film (the fourth or fifth generation version of the VKLL release wasn’t exactly high fidelity by that stage, especially if there was a PAL conversion somewhere in there). The look and feel very much echoes the style guide to the TV series’ stronger episodes – background are still dominated by pastel-like watercolours with fine line work and washed out edges, but there’s increasing detail and depth. The keys benefit from the additional time and QC, breaking through the consistency issues prevalent in the TV series’ production run, with more in-betweens to smooth out the animation. Paint work on the cels are strikingly bold at times and really make the characters pop. Action sequences come off as more dynamic and there are much more in the way of effects work thrown into the mix. The giant asteroid/seed thing in one of the scenes has even been rendered in 3D – ambitious for the time, but the low-resolution composite hasn’t aged terribly well. 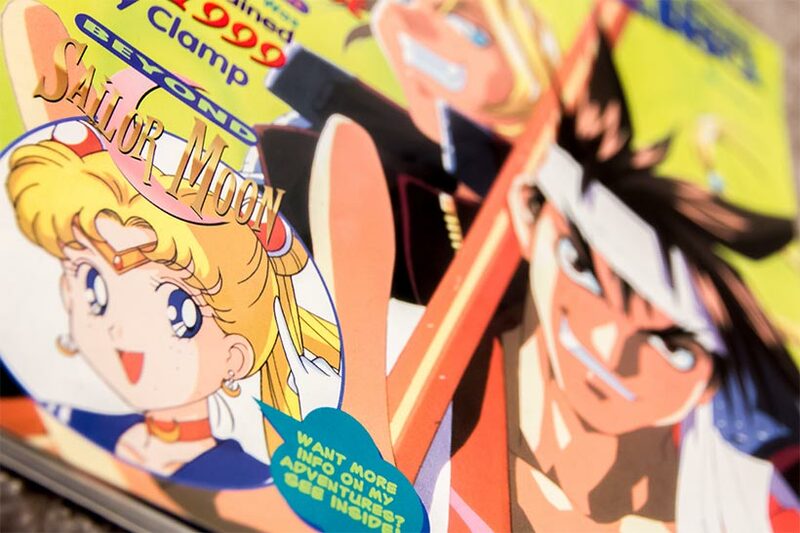 The story in many ways is the usual fare – it’s nothing that causes a seismic shift in the Sailor Moon R universe, but there are pockets where they’ve clearly had some fun. 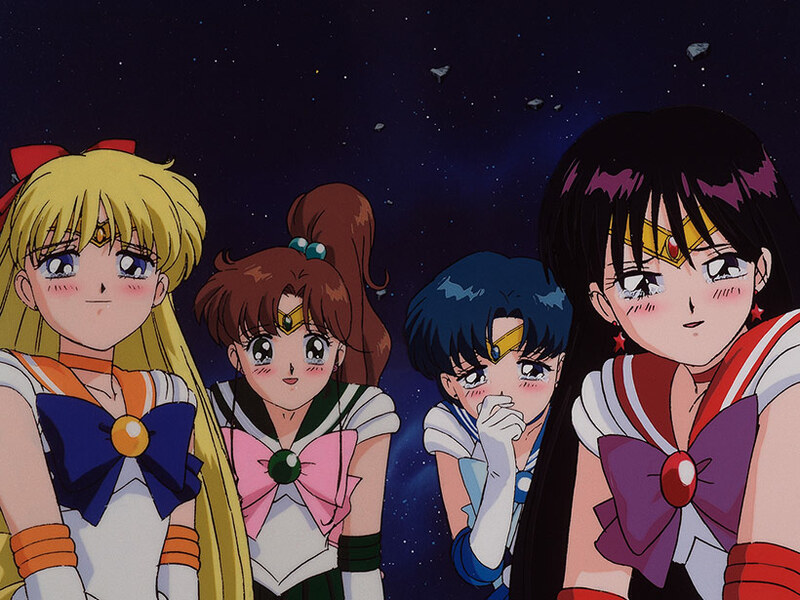 The Sailor Senshi in the limited slice of life moments can be quite playful – Ikuhara in particular had fun playing around with Ami’s character in the glasshouse scene and particularly at the Hikawa Shrine where she points out that bishounen Mamoru likely garners attention from fellow bishounen, an observation that causes a bit of a riot as the girls react to her in surprise given this runs against her usual reserved conservatism. The use of Fiore to spend some time exploring Mamoru’s past fills in some gaps in lieu of the TV series, and we even meet a young Usagi in another flashback sequence. The eventual climactic battle is good, but a far cry from the series’ capacity for engaging melodrama that we saw particularly in the conclusion to the first series of the 1990s adaptation. It’s objectively a bit mixed, but it’s also not out of character when compared to its contemporaries from Toei in 1992. This DVD release of Sailor Moon R: The Movie uses the Japanese R2 DVD masters and Madman have once again done an excellent job by keeping it as close to the remastered telecine as possible. The benefits of a higher native resolution from the source materials (32mm vs 16mm) along with a proper stereo soundtrack source means this does look really nice and sounds solid, especially given the various ways I’ve watched it in the past. Colours pop where they’re meant to while remaining controlled and balance on the whole, analogue artefacting is well managed within the confines of an MPEG2-based encode on source materials of this age and there’s a delightful absence of noticeable macroblocking. There’s the new English dub on there if that’s you’re thing (but that means you’d be missing out on a performance by Kotono Mitsuishi which would be a shame) and the package is very nicely rounded out with one of the TV specials that’s essentially a recap of the TV series up to that point. This is handy for someone who isn’t familiar with the 1990s adaptation, and for completist nerds like me it’s great to have this included in the package since my older fuzzy sources are long gone by now. 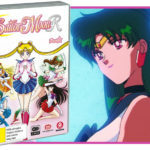 Considering the film itself, this review suggests that Sailor Moon R: The Movie is more of a side-episode than a full-on film, and that’s a pretty fair assumption. It benefits from a higher budget, a good pace that improves on the monster-of-the-week formula and contains all the required magic girl elements, including the generally excellent slice of life moments that are this adaptation’s greatest asset. On its own merits it’s not an outstanding production, but it’s a solid entry that stands above other theatrical extensions in the Toei TV to film anime universe. If you’re not as unfamiliar with or are less-invested in the source material it may not be quite as engaging, but fans of the existing series will likely get a lot out of it – I sure did, and nearly 20 years later I had a great time revisiting what was, for me as a fan in the 90s, a revelation of sorts. Highly recommended.